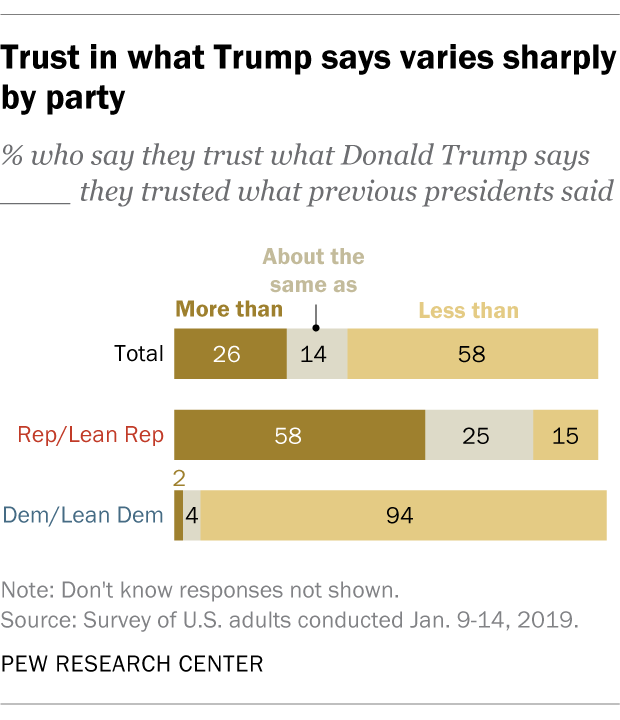 In a separate Pew Research Center survey conducted in January, 94% of Democrats say they trust what Trump says less than what prior presidents said, while 58% of Republicans say they trust what Trump says more than what prior presidents said. 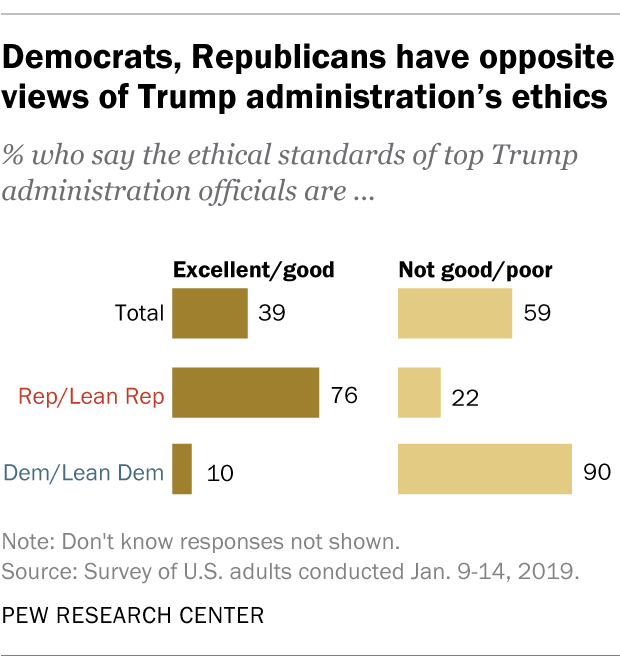 Similarly, nine-in-ten Democrats say the ethical standards of top Trump administration officials are poor or not good, while around three-quarters of Republicans (76%) say the administration’s ethical standards are excellent or good. 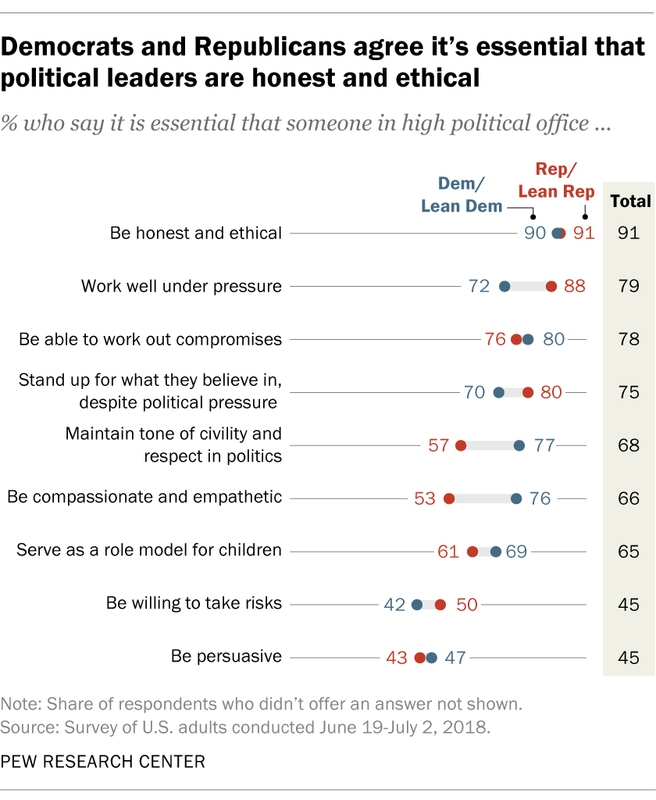 Democrats and Republicans have long been divided in their views of Trump’s personal traits, including honesty. In an August 2017 Pew Research Center survey, 71% of Republicans said the word “honest” describes Trump very well or fairly well, while 89% of Democrats said it describes him not too well or not at all well. Trump is far from the only president to evoke wide partisan differences in public attitudes about trustworthiness. In surveys dating back to the Clinton administration, Pew Research Center has asked Americans whether they saw the current president as trustworthy or not. 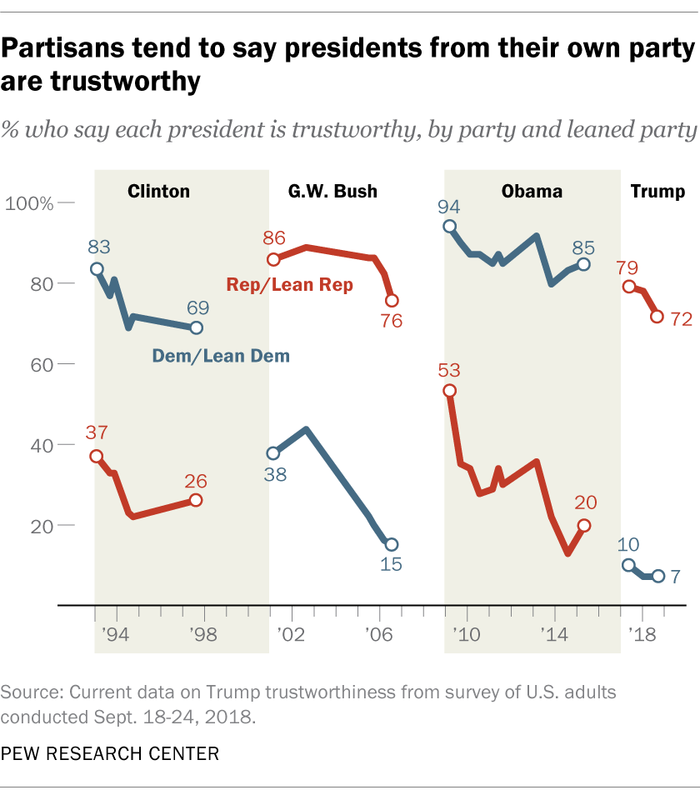 While some chief executives have fared better on this measure overall than others, a common theme emerges: People generally view presidents from their own party as trustworthy – and presidents from the other party as not trustworthy. This largely parallels partisan differences in presidential approval: In the Center’s survey this January, 96% of Democrats disapprove of the way Trump is handling his job as president, while 80% of Republicans approve.